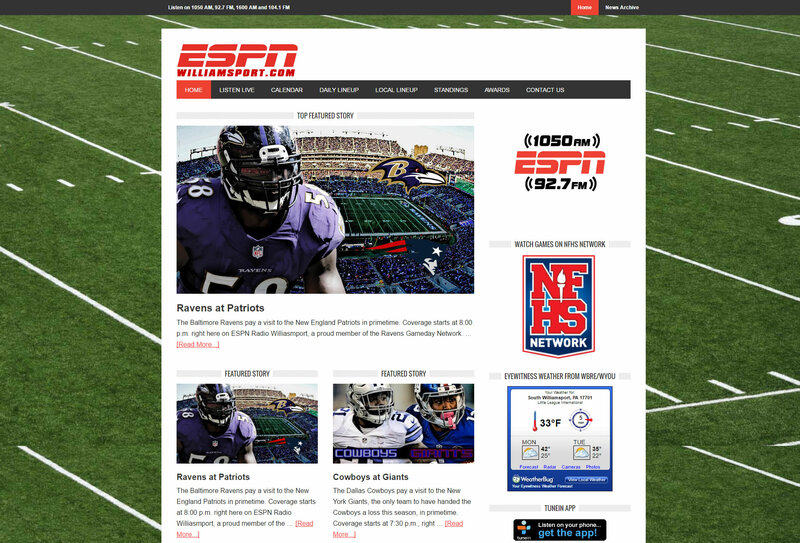 The Colonial Radio Group of Williamsport worked with Xtego to produce a website that would showcase new articles and live streams from multiple sports and multiple leagues. The site needed to be able to be edited by a number of Colonial Radio employees. It also needed to be robust enough to handles thousands of visitors per month.